There is something transformative about putting on a costume, makeup, jewelry and getting on stage; every performer has their own unique routine. As a student of Indian Classical dance for the past 17 years, I have my own routine, too, and over the past few years, I’ve been capturing the routines of my fellow dancers. It’s very interesting to be on the other side of the lens, knowing exactly what the pre-show jitters feel like. I love seeing the different stages of preparation that a dancer goes through - the flurry of putting on the delicate silk costumes; perfecting the curve of kohl that lines the eyes; the nerves of going over sequences last minute; the deep breath and moment of calm before stepping on stage; the hand-shaking, heart-drumming excitement as the curtains open and music blossoms over the stage. 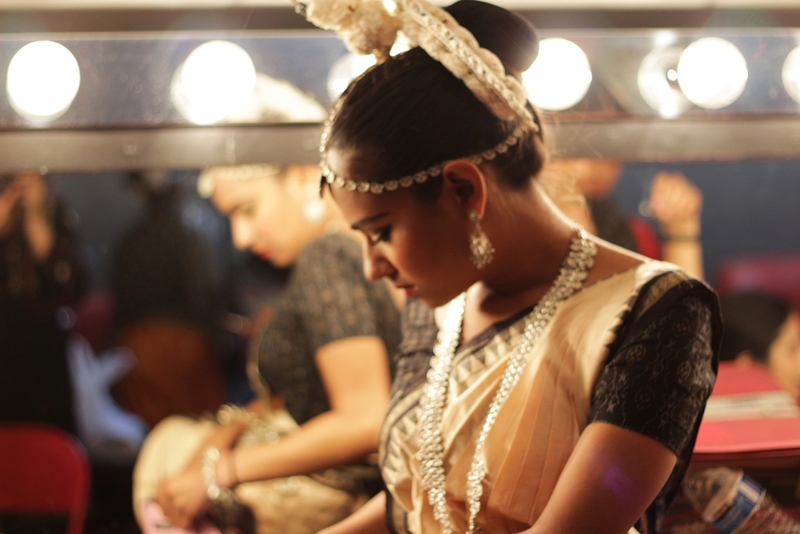 It’s quite an experience to do those things before every performance, and to witness them from the other side. I find a unique beauty in capturing the transformation of a dancer before they step on stage, a different kind of beauty than capturing the performance itself.